this is scooter. he is my lucky yellow cereal bowl. since i was a kid, this was the weapon of choice when it came to cereal. 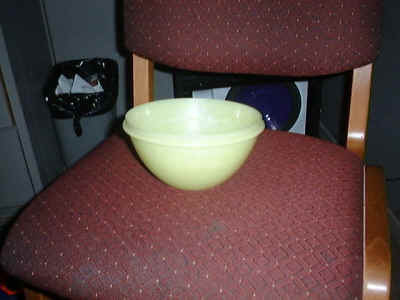 to use the coveted yellow tuperware cereal bowl, was like getting a visit from the godfather. i was never allowed to use it because it could hold too much cereal, and to eat that much was a waste. 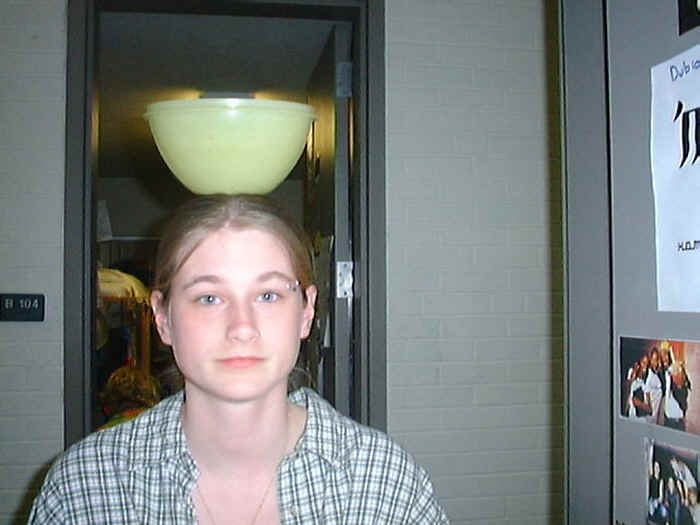 now that i am collegiate, i am allowed to indulge my self with mass quantities of cereal, so scooter the cereal bowl is mine. like the station wagon, scooter is something that most people don't understand, and those who do think is stupid. oh well though. i gotta represent on my website. so mad love to scooter and the wagon!! !